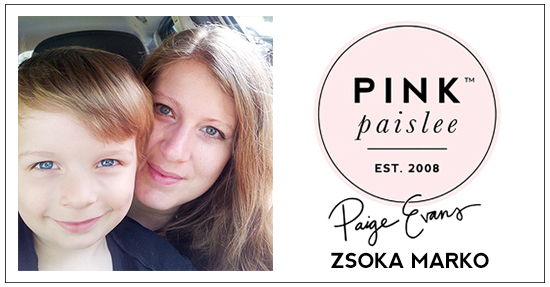 Hello crafty friends, Zsoka back today with some new projects I've created for the Paige Evans Design Team! When I saw this adorable new Envelope cut file I knew I had to use it right away. I resized the envelopes so that the square is slightly bigger than 4.25" and cut them from Paper 03 and Paper 10 from the Whimsical collection. I used my Crop-A-Dile to add eyelets so I can close the envelopes properly with the help of some twine. 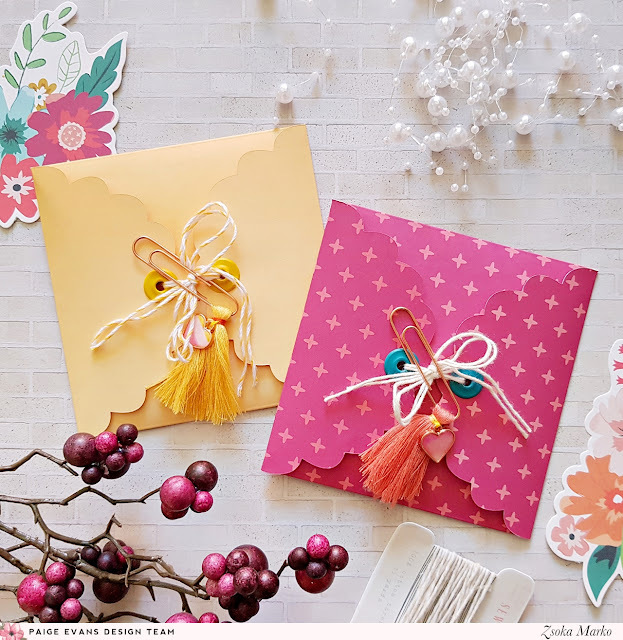 I also added a Tassel Paper Clip and Heart Charm to both cards so they don't look so empty. I then created two 4.25" square note cards. Originally I wanted to glue these down but then I realized it would be better to leave some space for a message on the back of each card. This first one has a pink patterned paper base to which I added a wide strip of white cardstock. I chose some Rub-Ons for my sentiment. I added a few hexagon paper pieces that I had left from a previous project. Last but not least, I placed a Floral Die Cut and another sentiment on the card. I chose a vibrant yellow-white stripe paper (Paper 09) for background on my second card. 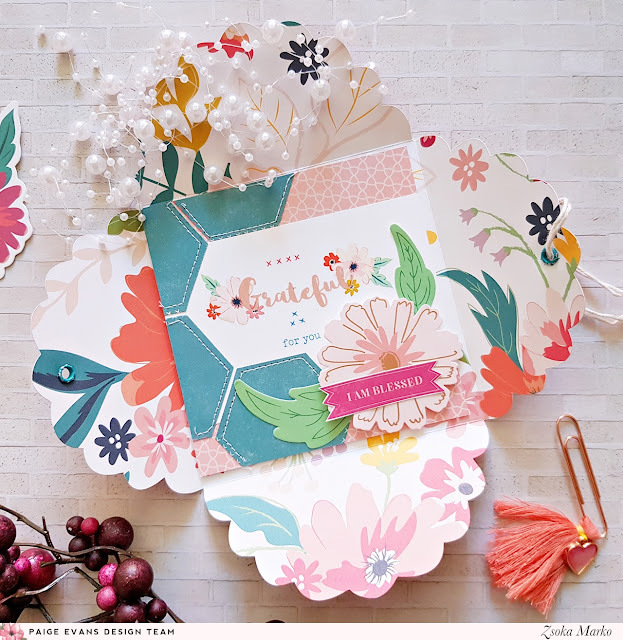 I layered Floral Die Cuts in opposite corners. I cut the Thankful cut file from a purple scrap paper, and glued it on my card. To finish it all off I added one of the sentiments from Paper 08. I hope you like my easy card/envelope idea and want to give it a try! Who are you thankful for this Thanksgiving? Thank you so much for stopping by today! These are GORGEOUS!!!!!!!! I am loving the colors and the tassels!!! !